Holden is a manufacturer that produces top of the line cars, trucks, SUVs and vans. It’s one of the most popular car brands here in Australia. Just because your Holden vehicle is damaged, old or undrivable doesn’t mean that it has lost all its value. 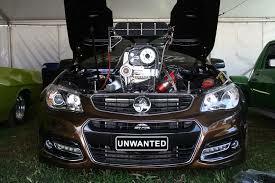 With Holden Car Wreckers Adelaide, your Holden is guaranteed an offer at a competitive and agreeable price. We pay up to $9999 cash. Regardless of the level of damage or deterioration, with us, you have an instant cash for cars buyer for your old, broken, damaged or scrap Holden cars. Why Sell your Holden Car to Wreckers Adelaide? No preparation is needed. We will buy your car ‘as is’ regardless of its condition. So, with us, car sellers have no selling expenses to worry about. Why pay for someone to dispose of your car. We’ll pay you in cash and tow away your car for free! Nobody loves being bogged down with paperwork, which is why we offer free paperwork to speed up the car selling process and make the experience hassle-free for you. Are you looking to sell your Holden quickly and without hassles, while also not sacrificing on price? 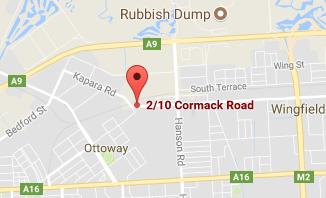 Well, selling your Holden has never been easier. Holden Car Wreckers Adelaide is your Cash for Cars Buyer that provides fair Cash Quotes for Holden Cars, irrespective of their conditions. No longer do you need to pay for someone to tow or dispose of your scrap car, because with Adelaide Holden Car Wreckers, we pay you cash and provide free car removal as well, coming to your location and towing away the car! We believe in providing a fair, accurate and competitive price, so we don’t have a set rate as some businesses do. We base our offer on our valuation of your vehicle, done by experienced appraisers. So, with us, Holden car sellers will get top cash for their cars. When you sell your Holden car, truck, van or SUV to Holden Car Wreckers Adelaide, you get a range of exceptional free services including complimentary towing removal of your vehicle anywhere in Adelaide. Our towing services are quick and convenient, making it possible for car sellers to get their cars sold without even leaving the comfort of their homes. Are you looking to sell your Holden without the stress and hassles typically associated with selling cars? With Holden Car Wreckers Adelaide, the whole process can be completed in 45 minutes to an hour, thanks to our efficient 3-step buying process. Secondly, one of our experts will inspect your Holden and provide you with a no-obligation offer. If you accept, all paperwork is provided, and you can receive your cash payment while your Holden is towed away for free. Our highly qualified experts at Holden Car Wreckers Adelaide have an exceptional knowledge of Holden vehicles and car removals. For an instant quote for your Holden vehicle, call Holden Car Wreckers Adelaide at 0477 413 136 or through our online form.